Next Sunday, 15 April, the London Jazz Orchestra will dedicate our monthly concert to a "Celebrating Saberton", playing much of the music Pete wrote for the LJO. Pete was a founder member of the LJO and held the piano chair for 19 of our 21 years (Nikki Iles took over for a few years in the middle, and will be returning to become the LJO's pianist from September). Players include Henry Lowther, Paul Clarvis, Pete Hurt, Martin Speake, Phil Lee, Noel Langley, Robbie Robson, Pete Beachill, Trevor Mires.......all the top guys will be there. The monthly gig is at 4PM. 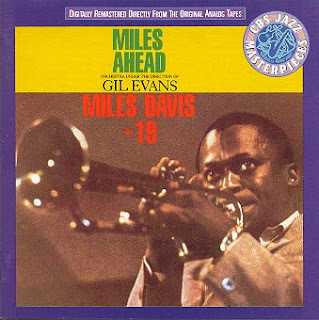 The LJO will be joined by Miles Evans, Gil's trumpet-playing son (and named after Miles Davis) to celebrate Gil Evans 100th birthday with two performances of Miles Ahead, being recorded for the BBC from the Vortex in front of a live audience. Each performance will be preceeded by a short talk/discussion with Miles Evans, Henry Lowther (who will share solo duties) and Scott Stroman, who previously directed the UK premiers of all of the Evans/Davis collaborations (Miles Ahead, Porgy and Bess, and Sketches of Spain) with the Guildhall Jazz Band and soloists Randy Brecker, Dave Liebman, and Henry Lowther.